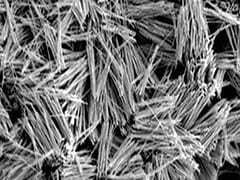 Bottom-up synthesis of nanowires through metal-catalyzed vapor phase epitaxy is a very attractive process to generate high-quality nanowires thus providing an additional degree of freedom in design of innovative devices that extend beyond what is achievable with the current technologies. In this nano-fabrication process, nanowires grow through the condensation of atoms released from a molecular vapor (called precursors) at the surface of metallic nano-droplets. Gold is broadly used to form these nano-droplets. This self-assembly of nanowires takes place spontaneously at optimal temperature and vapor pressure and can be applied to synthesize any type of semiconductor nanowires. However, to functionalize these nanomaterials a precise introduction of impurities is central to tune their electronic and optical properties. For instance, the introduction of group III and V impurities in a silicon lattice is a crucial step for optimal design and performance of silicon nanowire technologies. The accurate control of this doping process remains an outstanding challenge that is increasingly complex as a result of the relentless drive toward device miniaturization and the emergence of novel nanoscale device architectures. In a recent development, a team of scientists from Polytechnique Montréal (Canada), Northwestern University (USA), and Max Planck Institute of Microstructure Physics (Germany) led by Professor Oussama Moutanabbir has made a fascinating discovery of a novel process to precisely functionalize nanowires. By using aluminum as a catalyst instead of the canonical gold, the team demonstrated that the growth of nanowires triggers a self-doping process involving the injection of aluminum atoms thus providing an efficient route to dope nanowires without the need of post-growth processing typically used in semiconductor industry. Besides the technological implications, this self-doping implies atomic scale processes that are crucial for the fundamental understanding of the catalytic assembly of nanowires. The scientists investigated this phenomenon at the atomistic-level using the emerging technique of highly focused ultraviolet laser-assisted atom-probe tomography to achieve three-dimensional atom-by-atom maps of individual nanowires. A new predictive theory of impurity injections was also developed to describe this self-doping phenomenon, which provides myriad opportunities to create entirely new class of nanoscale devices by precisely tailoring shape and composition of nanowires. The results of their breakthrough will be published in Nature.